AMD’s Zen range of X86 Processors are set for release later this year, and according to the company will first find their way into enthusiast systems and then server based CPU’s will follow. 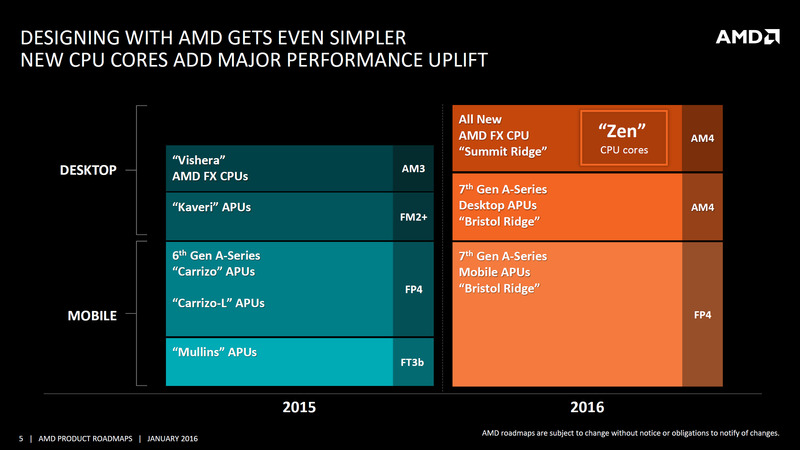 But AMD have made it rather clear we can expect a plethora of APU’s to be based on the Zen lineup of CPUs, some targeting end users, while others will be relegated to the high end server market. A new rumor (or report, depending on if its true or not!) 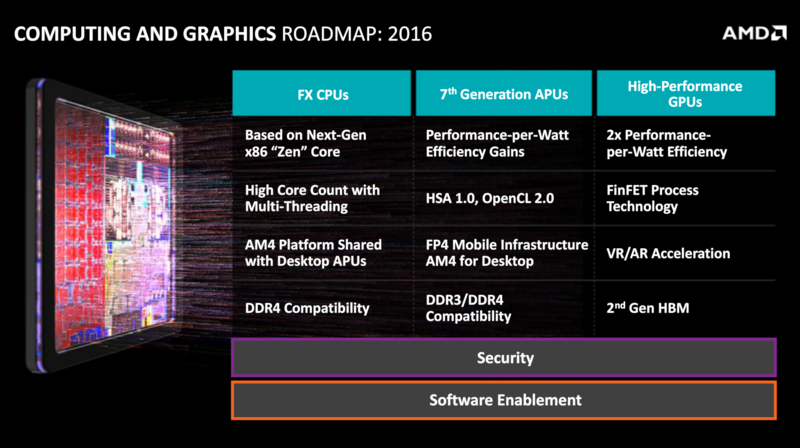 has surfaced courtesy of BitsnChips claiming AMD’s Raven Ridge APUs will be built by Global Foundries on a 14nm process for a 2017 release. Amkor will be responsible for packaging the APU itself, and it isn’t the first time they’ve had dealings with AMD. Previously AMD have used Amkor for their Fiji lineup of Radeon graphics cards (or the Fury range if you prefer) and they assembled the HBM (High Bandwidth Memory), GPU and Interposer into one beautiful package. SK Hynix will continue pulling their weight as AMD’s HBM partner, but which type of High Bandwidth Memory the company will supply for Raven Ridge is a bit of a mystery. Because Raven Ridge isn’t scheduled for release until 2017, AMD have a good deal of options, as we’ve discussed before, by the Q4 2016 SK Hynix’s production of 8GB DRAM HBM2 chips will have reached full swing. The late year releasing of HBM2 chips is one of the reasons that both AMD’s Polaris and Nvidia’s Pascal range of GPU’s are supposedly ditching HBM2 in favor of more traditional GDDR5X memory. We know that the bleeding edge AMD APU’s which will debut for servers and other high end purposes are monsters, sporting 16 X86 Zen cores (capable of running 32 Threads) and next generation GCN technology. The Raven Ridge lineup of APU’s will not be quite as impressive, but should still provide graphical performance higher than that of either the Playstation 4 or the Xbox One. Currently many of AMD’s APU’s suffer from memory bandwidth constraints, thus the move a DDR4 and HBM platform should remove much of the limitation and allow AMD to bump up the number of GCN processors inside Raven Ridge. Furthermore, the release of Zen should mean upto 40% CPU performance (clock for clock) compared to the older X86 Excavator cores. 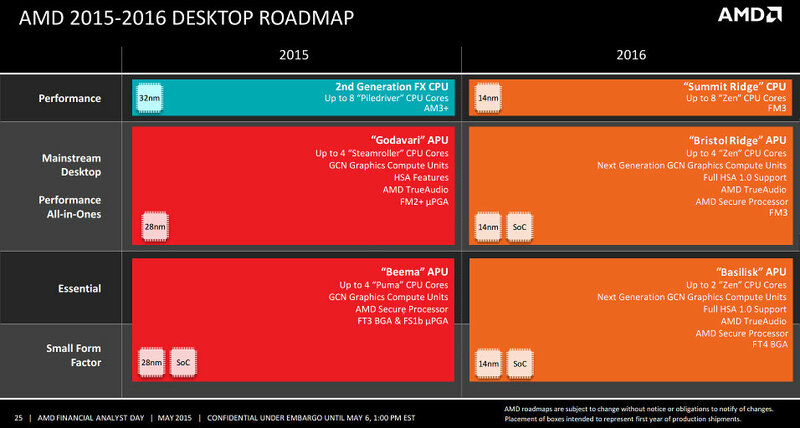 Combined with the AMD switching to a more Intel like SMT (Simultaneous Multi-Tasking) approach, the new APU lineup will have a lot of interesting applications, from low power notebooks which pack a lot of processing power, to custom applications. Due to AMD focusing on improving customer Performance Per Dollar and reduction the power consumption of the next generation GPU’s (allowing for increased amount of processing power in smaller form factors) thanks to the Polaris architecture, the future could well be rather interesting. AMD’s investment in next generation APU’s also makes the prospect of developing a new, custom based APU for the Playstation 4.5 (the upgraded Playstation 4 Sony are rumored to be working on. Developers have confirmed the PS4.5 is a 4K capable Playstation 4 machine) and if this is the case, the system will require a lot of extra grunt of the vanilla models GPU and CPU. As usual, keep a close on on Redgamingtech.com website and YouTube channel for all of the latest information, rumors and reviews! Tagged with AMD, amd polaris, APU, DirectX 12, gaming, gpu, polaris, raven ridge.